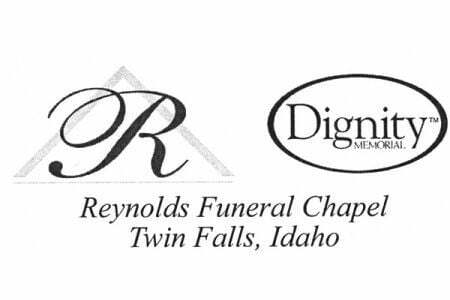 Shelby Jean Sizemore passed away peacefully surrounded by her family in Twin Falls, Idaho on Thursday,April 11, 2019. She was 72 years old. Shelby Jean Morris was born January 6, 1947, the sixth child of Arnold & Daisy Morris in Cincinnati, Ohio. Shelby was a quiet child who loved to sing. Her family moved to Elkhorn, Leslie County when she was 13 years old. Shelby married Billy Leroy Cornett on August 14, 1965 in Wendover, Kentucky. They had two daughters, Mildred Renee (Millie) in May 1966 and Michelle Leigh in September 1969. Always on the go, the four lived in Kentucky, Florida and Ohio before landing in Jerome, Idaho in the 1984. Shelby worked as a medical transcriptionist for most of her life, a good number of those years at Magic Valley Regional Medical Center in Twin Falls, Idaho. However, her true life calling, caring for her grandchildren, began in 1988 when she welcomed the first two in the same year, Tamara Nichole Carnell & Justin Leroy Holley. She welcomed four more grandchildren over the years: Stephen Chase Holley, Cory Dean Carnell, Morgan Elizabeth Holley, and Peyton Joseph Holley. Later on, she was able to cuddle and love on three great-grandsons: Ryder Dee, Parker Leroy and Sawyer Joseph Holley. She was patiently and excitedly awaiting her first great-granddaughter before her passing. When she wasn’t cooking for them, she was rocking and singing them to sleep, or sharing her love for book, movies or games. As Leroy lost his battle with non-Hodgkin’s lymphoma in 2004, Shelby took him home to Leslie County, Kentucky and cared for him as he spent his last days surrounded by family. Years later, Shelby (Hollywood as Bobby called her) reunited with high school sweetheart, Robert Sizemore. They were married in December 2012 and spent over six loving and laugher-filled years together in Dayton, Ohio. When she wasn’t cooking for loved ones, she had a keen interest in researching genealogy. Always busy with her perfectly manicured hands, she also loved creating beautiful blankets for all her grandbabies, crocheting & cross stitching, and quilting. Shelby was preceded in death by her parents Arnold & Daisy Morris; two brothers: Harold & Matt; her sisters Helen Morris Smith, Nora Morris Bowling, and Lillian & her husband Don Marrs; her first husband, Leroy Cornett, his parents Hobert and Mildred Cornett, and sister Lillian and brother-in-law Jim Hayes. She is survived by her loving husband Robert Sizemore; daughter Millie and her husband Thomas Rivera;daughter Michelle and her husband Steve Holley; her six grandchildren and their families: Nichole and her fiancé, Marcus Kennedy; Justin and his wife Sara and their children Ryder, Parker, Sawyer and BabyGirl Holley, Chase and his wife Clarissa; Cory, Morgan, & Peyton; her brother and sister-in-law, Simmie & Lowanda Morris, in-laws Beulah Morris, Steve Smith, Plaze Bowling, Donald & Kat Cornett, Doug & Wilma Cornett, Craig & Agnes Melton, as well as several nieces, nephews and beloved friends. The family would like to express our thanks for the wonderful help and care given by the many people who gave Shelby care in her final days. Condolences may be sent to the family at www.reynoldschapel.com.